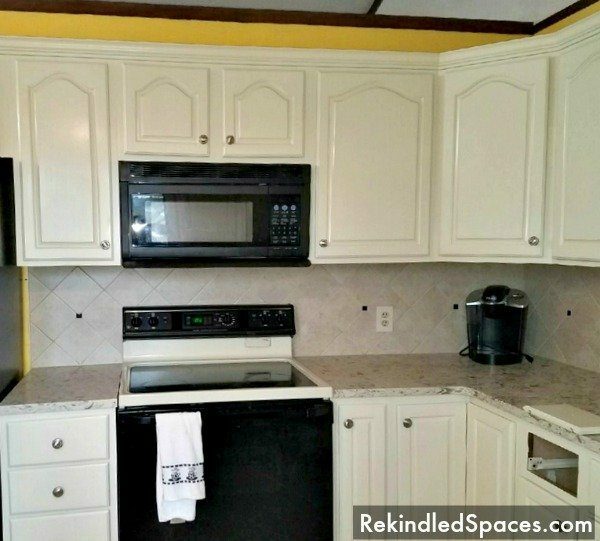 Do you want to turn your kitchen cabinets from drab to fab? Then, painting them is the perfect solution! Painting kitchen cabinets is an inexpensive solution for making your kitchen look new and updated. Want a dramatic change? 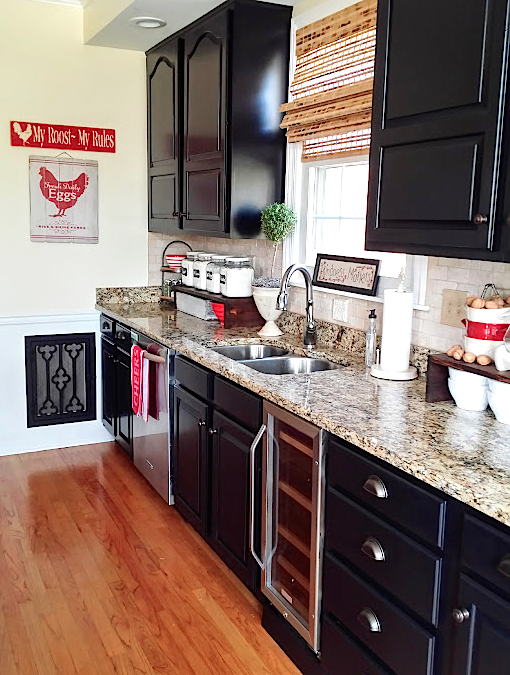 Painting kitchen cabinets black is a great way to transform you cabinets into a classically elegant masterpiece. 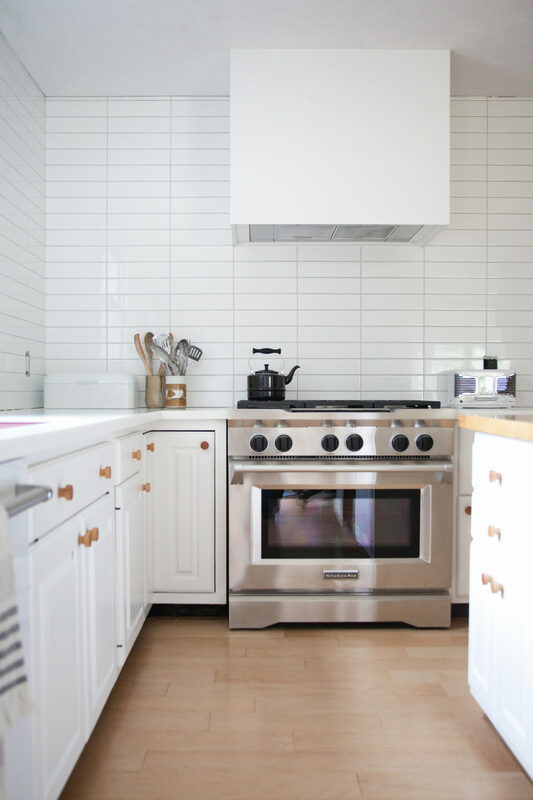 I love white kitchen cabinets. They are so clean and bright. 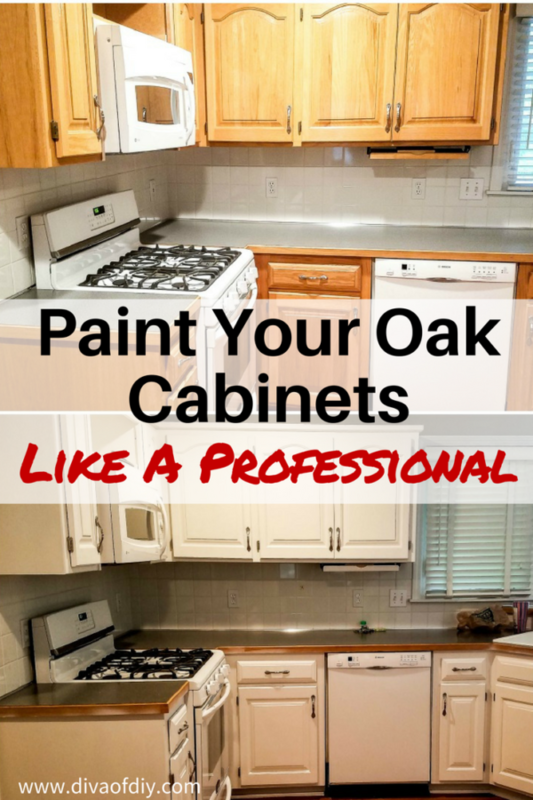 Check out this awesome cabinet makeover and learn how to paint your cabinets like a pro. 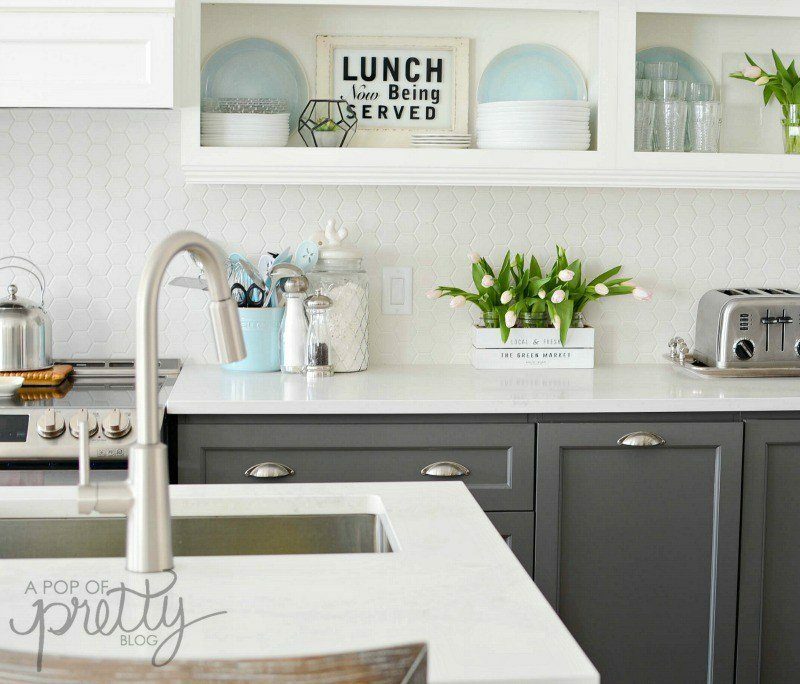 Turn dark and drab cabinets to fresh and fab! 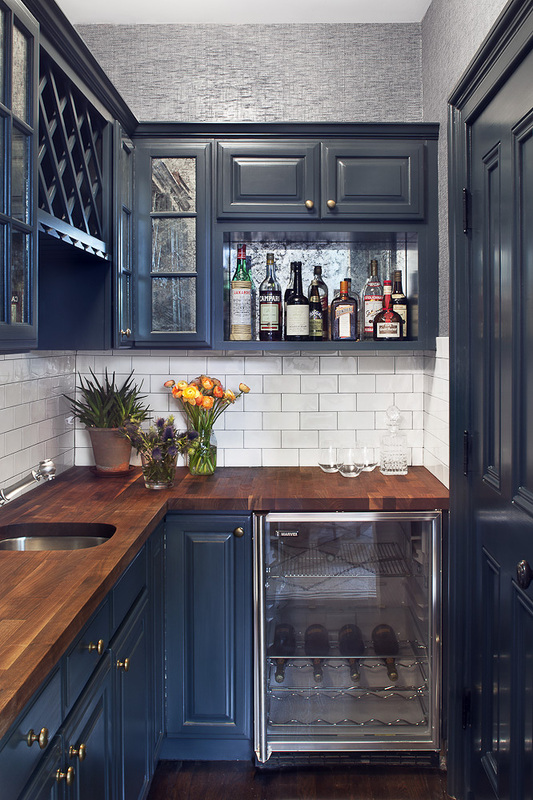 Are you daring enough to go with Navy Blue Kitchen Cabinets? 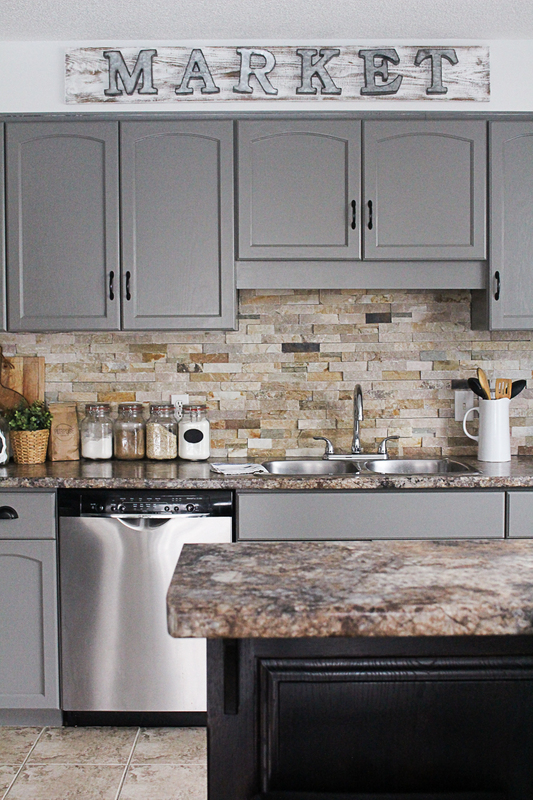 Gray Kitchen Cabinets are a great solution if you don’t want bright white or black but still want something neutral. 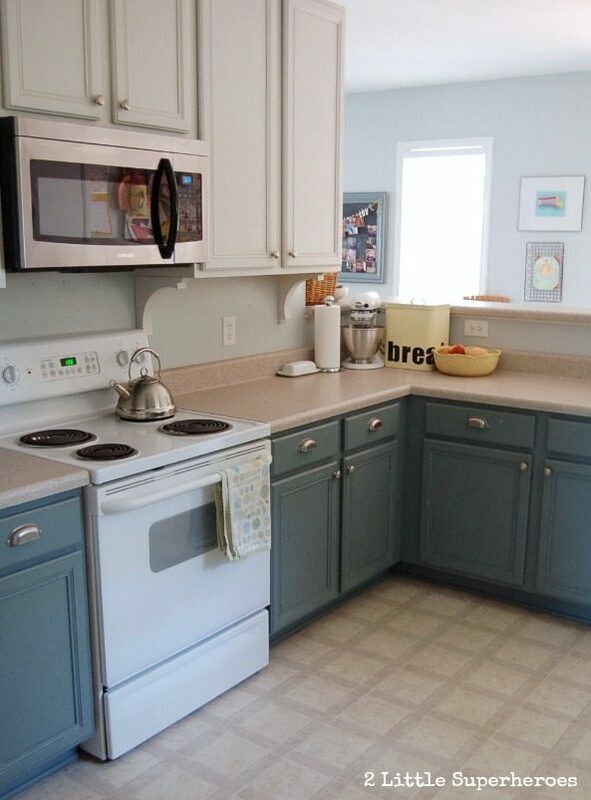 What do you think about painting kitchen cabinets in two colors? This is a great solution if you want your kitchen to be a true piece of art. 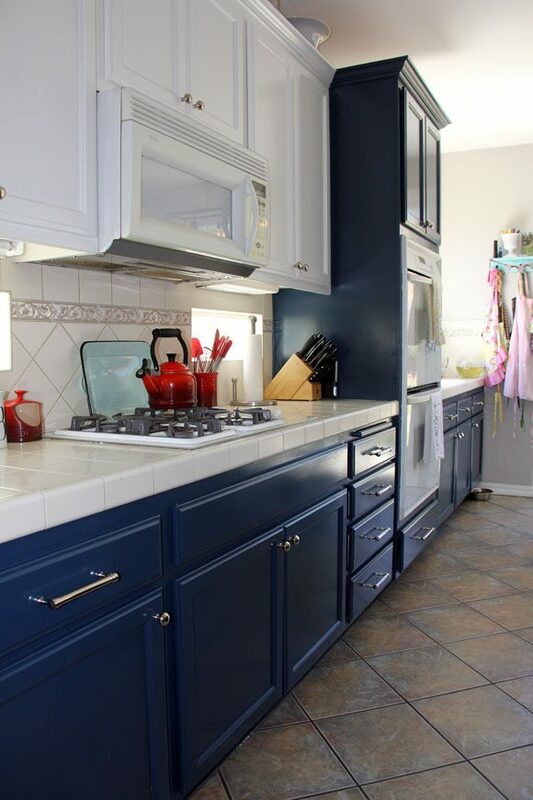 There are so many possibilities with two-toned painted kitchen cabinets. 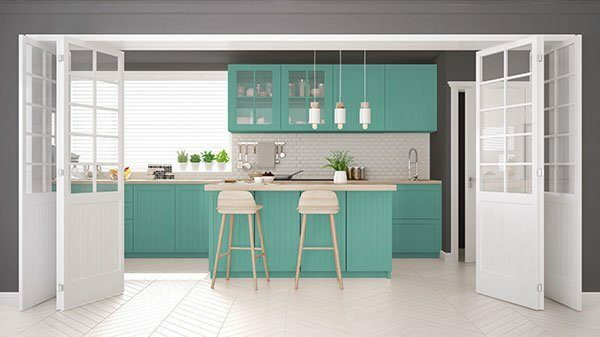 Add visual interest and contrast to your kitchen by painting kitchen cabinets two different colors. Two-Tone Painted Kitchen Cabinets allow you to add diversity to your kitchen while making it stand out. Want to add depth to your cabinets without changing the color? Consider glazing them. 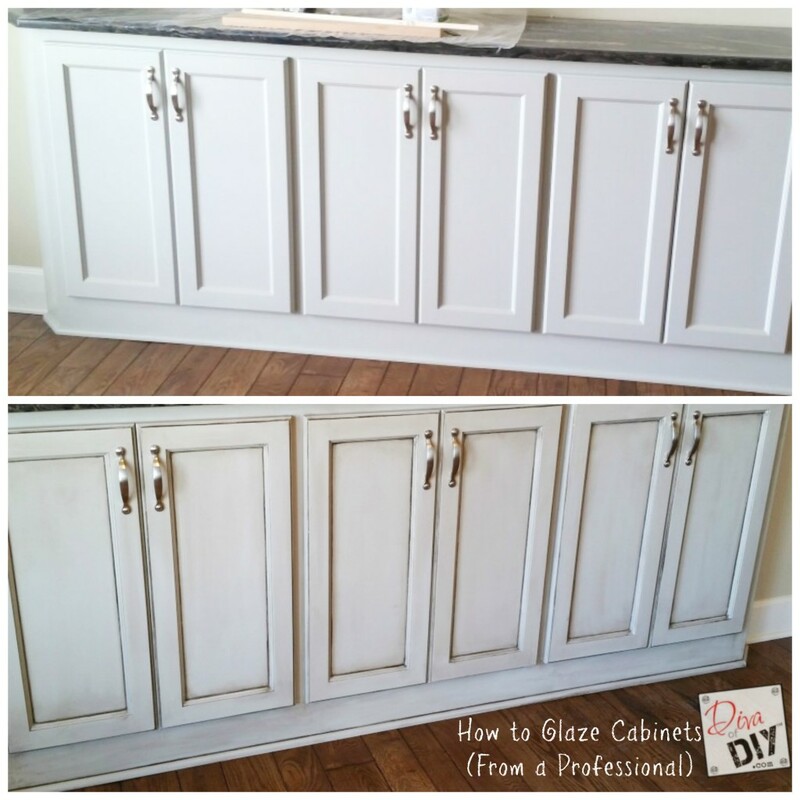 Glaze Your Kitchen Cabinets with this great tutorial. Do you love chalk paint as much as I do? 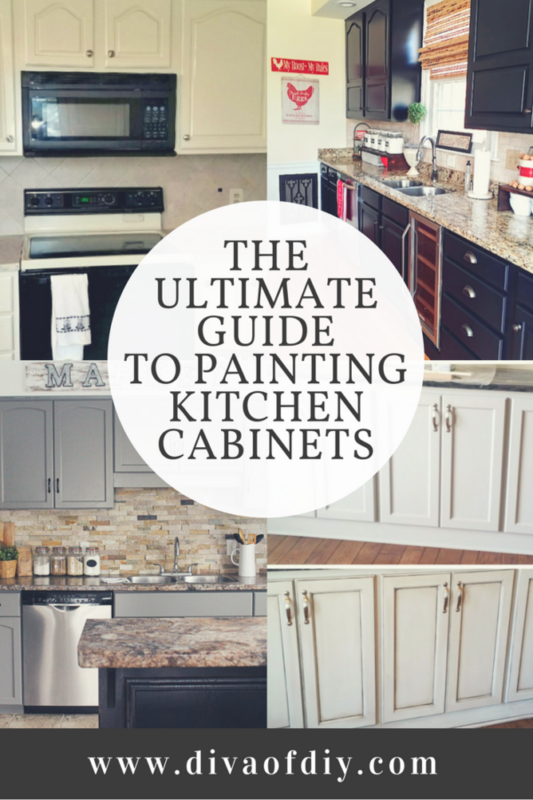 Using chalk paint to paint kitchen cabinets is a great way to give your cabinets an update. 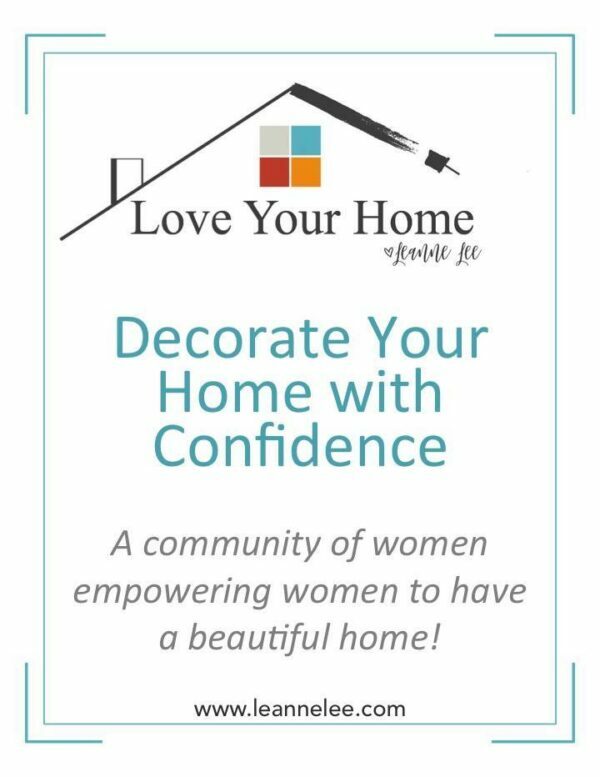 Have I inspired you to paint your kitchen cabinets? 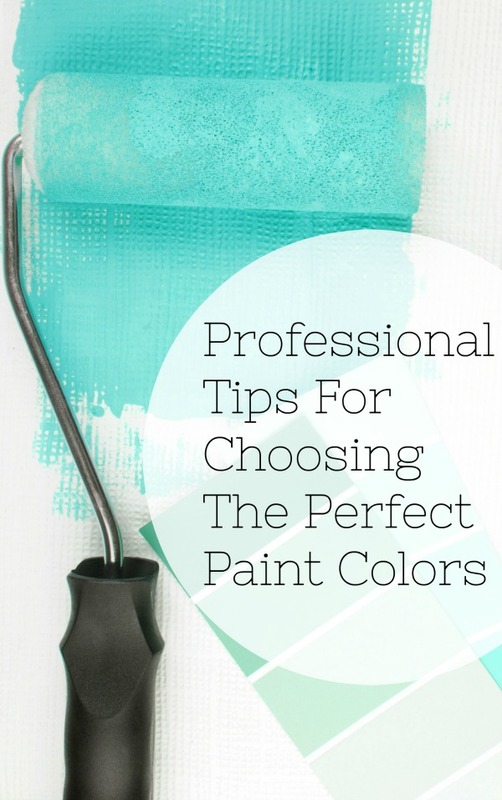 Check out this Supply List for Painting Kitchen Cabinets I put together HERE. 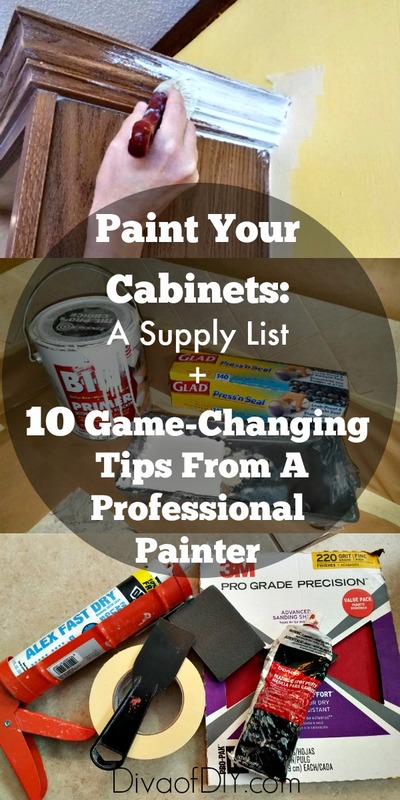 And, here are some game-changing tips that will help your painted cabinets look fabulous! What color will you paint your kitchen cabinets?